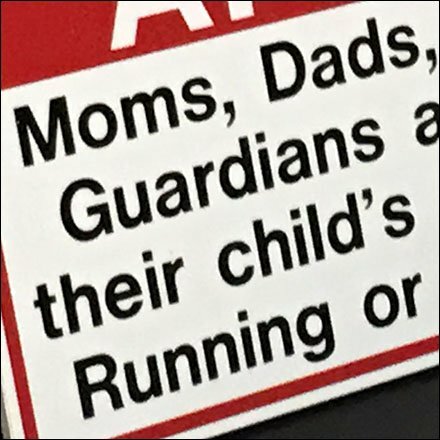 Moms, Dads, Grandparents, And Gardians, you are responsible. Responsible for child safety seems the primary concern, But no jumping, running or climbing allowed either. Do your job, guardians, do your job. And keep the children as well as facilities safe and accident-free.